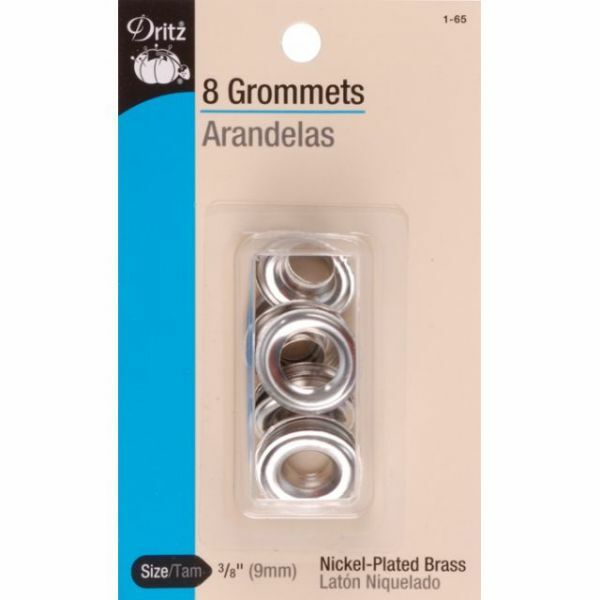 Grommets - DRITZ-Grommets. Ideal for attaching to shower curtains, backpacks, and duffle bags to keep fabric from framing and for a professional touch. Each metal grommet is rustproof and machine washable. 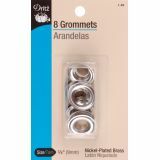 This package contains eight 3/8in metal grommets. Available in either nickel, brass, or antique brass finish: each sold separately. Imported.